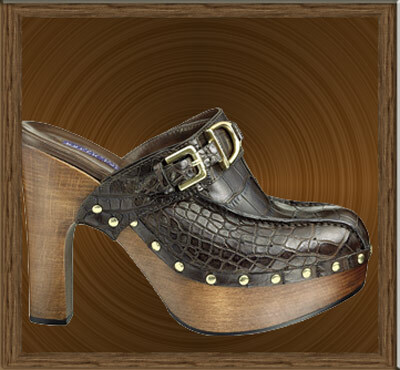 Style & Culture: Clog Crazy. 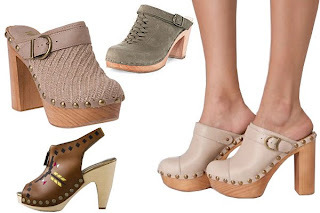 Wooden clogs have made a comeback for the summer. These wooden shoes were originally designed for the purpose of protecting the feet of workers. Traditionally it's been a shoe that makes you think of the Dutch and Swedish. But the 1970s and 1980s made the shoe a hit in popular fashion. For Spring 2010 it has been shown in a variety of shapes, styles, colours and textures. This Ralph Lauren crocodile clog pictured above goes for $4500.00(USD) But you don't have to spend that much to be in clog-happy style. Jessica Simpson has her own version of the clog that retails at $89.00(USD). For the budget conscious Payless Shoe Source carries one by alice + olivia for only $39.99(USD).